My longest big book this year was 733 pages. My shortest however, was 416 pages!! I think I did well, this being my first year. I think the only reason I read so many big books this summer is because I was enthralled by Cassandra Clare's Mortal Instruments series, of which each book is at least 400 pages. I only hope to read this many books next year. 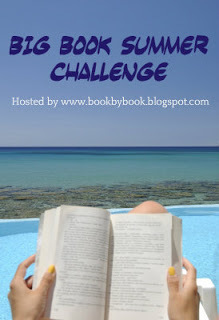 If you are interested, you can sign up for the big book challenge next year. I can assure you that I will !